1. TreeMap doesn't have null keys but it may have multiple null values. 2. It contains only unique elements. 3. TreeMap guarantees that its elements will be stored in ascending key order. 4. Java TreeMap is not synchronized. 1. TreeMap(): This constructor creates an empty tree map that will be sorted according to natural sorting order. 2. TreeMap(Comparator comparator): It creates an empty tree map that will be sorted by using the Comparator. 3. 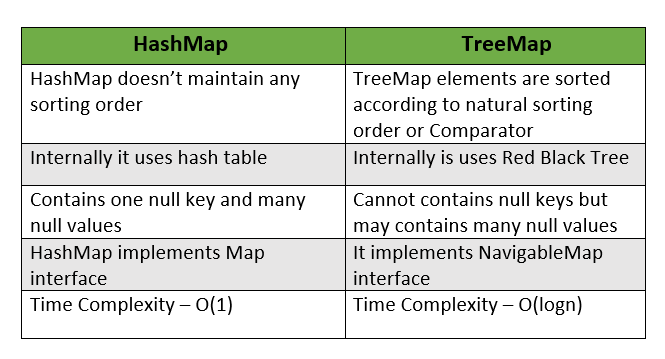 TreeMap(Map m): It initializes the tree map with the entries from m.
4. TreeMap(SortedMap sm): It initializes the tree map with the entries from sm. 1. Object put(Object key, Object value): This method is used to put key and values into a map. 2. void putAll(Map map): This method is used to copies all of the elements from the specified map to this map. 3. Object firstKey(): This method returns the first key from the sorted map. 4. 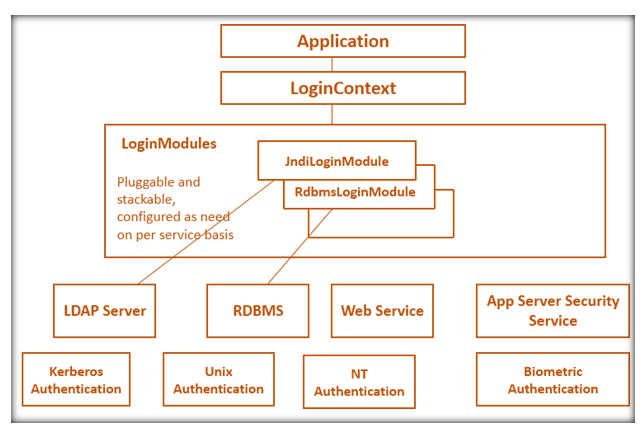 Object lastKey(): This method returns the last key from the sorted map. 5. Object get(Object key): returns the value associated with the specified key. 6. int size(): returns the number of key/values pair in this map. 7. void clear(): removes all the entries from this map. 8. Object clone(): returns a shallow copy of a tree map. 9. boolean containsKey(Object key): returns true if this map contains the specified key. 9. boolean containsValue(Object value): returns true if this map contains the specified value. 10. Collection values(): This method returns a collection containing the values in the map. 11. Set keySet(): returns a set of keys in the invoking map. 12. Set entrySet(): returns a set of entries in the invoking map. 13. SortedMap headMap(key end): This method returns a sorted map for those map entries with keys that are less than the end. 14. 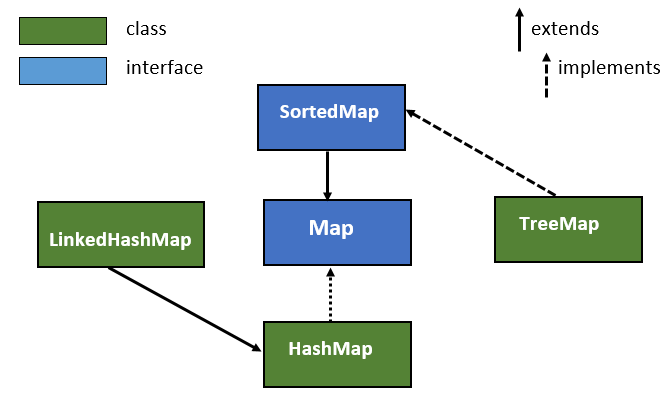 SortedMap tailMap(key start): This method returns a sorted map for those map entries with keys that are greater than or equal to start. 15. SortedMap subMap(key start, key end): This method returns a sorted map for those map entries with keys that are greater than or equal to start and less than the end. How to add or remove elements from ArrayList?